According to a recent study released by IBM, 95 percent of all cyber security incidents involve human error. Many of these are successful cyber attacks from hackers who prey on human weakness in order to lure individuals, kids, or business employees to unwittingly provide them with access to systems or sensitive information. Our newsletter is designed to help the average person recognize and avoid these cyber threats. Home Cyber Defense Weekly is changing format and will soon be launching a new and improved podcast and Youtube channel dedicated to keep YOU safe from Cyber Threats! Threats to Our Electric Grid are Real. 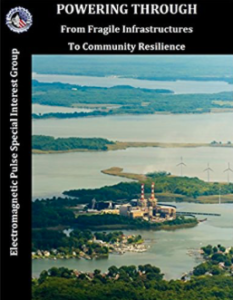 “Powering Through From Fragile Infrastructures To Community Resilience” is an excellent book in explaining what we need to do as individuals and as a community to prepare for any long term power outages.